A: Hey, I’m Courtney! I’ve been married for 5 years to the sweetest and most fun guy a girl could ask for. We have two little kiddies, Charlotte and TJ, who keep us on our toes! We live in a suburb of Chicago, and love taking advantage of all our city has to offer. I enjoy more than anything spending time with our friends and family, and being invested in our community. A: My husband and I met the first day of college! We lived in the same dorm and had “open doors night” to meet everyone in our hall. That night, my husband said that out of the hundreds of people he met, he only remembered my name 🙂 We started dating a few months later and had the best time dating throughout our time at the University of Illinois. College was a blast, but it was even better having my best friend to experience it with me! A: Charlotte Rae is my oldest at 21 months old. She is soft, feminine, and sweet as can be! She’s into trains and animals right now, and is always dancing and singing throughout her day. Her little brother, TJ, is 5 months old. The funny thing is they weigh only 1 lb apart! 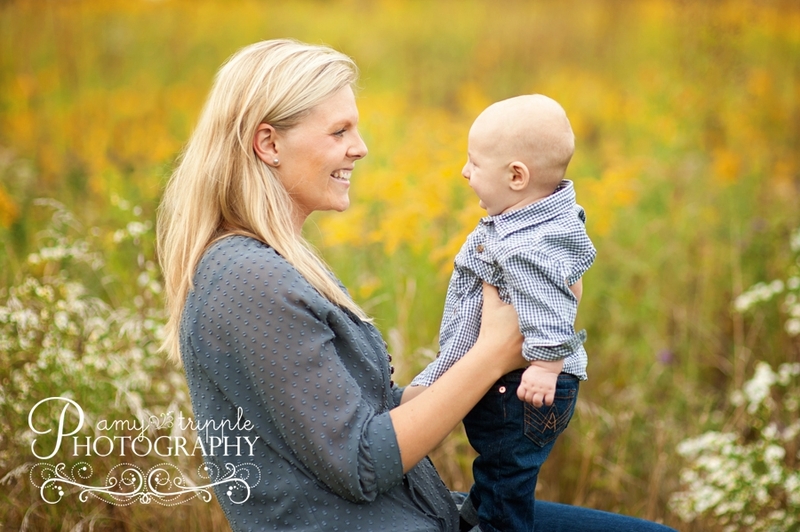 TJ is such a relaxed and happy baby, and it has been fun to see Charlotte interact with him. I’m looking forward to watching our children explore the world and grow into the people God has created them to be. A: I started my career in pharmaceutical sales with Eli Lilly. 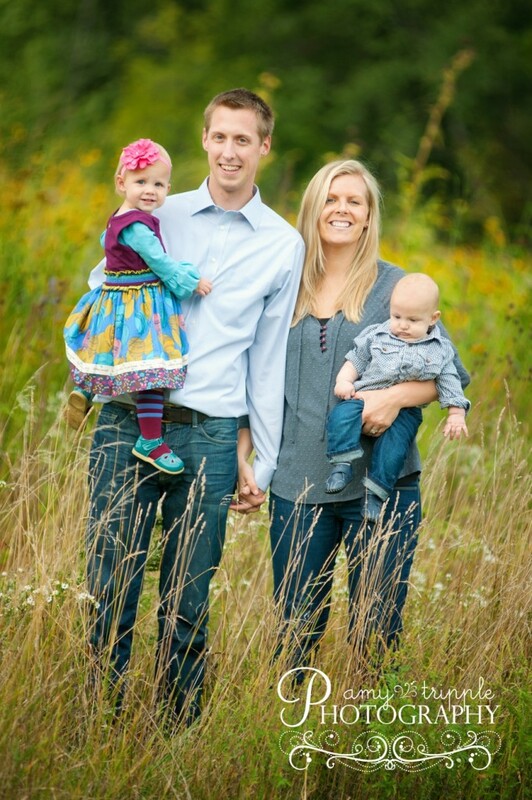 When my husband and I got married, I relocated to Chicago and began working at Morningstar (the financial services company, not the vegan food one). I sold software to financial advisors around the country and trained the offices on how to implement the new software. Morningstar was such a fabulous company with a relaxed and innovative cultural setting. I transitioned to stay-at-home mom once my baby boy was born, but was drawn to Matilda Jane because of the similar company culture and amazing line of clothes! A: My mom used to buy Matilda Jane for my niece. I, of course, loved her wardrobe!!! Once I had my own daughter, it was a no-brainer where my family would be shopping! A: My parents of course had a big influence, but I would say that my husband has made the biggest impact on who I am today. Ask anyone around, my husband is the kindest person you’ll ever meet. His positive perspective on life and people, his generosity, and ability to show care to everyone he comes across has made me a better wife, mom and friend. A: I think they would say resourceful, loyal, funny, stylish, and inclusive. A: I like sweets, so can I say both? A: I have lots of dreams, but the biggest one is to adopt a child one day! The process is overwhelming emotionally and financially, but when I think about children just like my own, who are living in extreme poverty or abusive homes, my heart is saddened. I heard a simple quote that has stuck with me…You cannot change the entire world, but you can change the entire world for one person. I’m looking forward to the day this dream comes true! A: That’s tough to pick just one! I would say any organization that supports and improves the lives of children in Africa. I’m drawn to Eastern Congo Initiative, The Mighty Acorn Foundation, and other like-minded organizations working throughout Africa. It is estimated that 19,000 African children die EVERY day from preventable causes, which is unacceptable. I would put money toward vaccines, medical care, and food for orphans. A: Anything written by Francine Rivers! I recently read ‘A Voice in the Wind’ and it was so captivating that I couldn’t put it down! Her stories are rich in historical context and spiritual wisdom, which keeps me connected through the entire storyline. A: For Charlotte, I love the Arcadia Hoodie. It goes with almost everything in the line and is adorable to wear. For me, I would pick the Copper Cardigan because it’s comfy and stylish all in one! I’m an Illinois fan so when my husband saw the cardigan for the first time, he asked why I was wearing Michigan colors. Denise, can you make that in orange and blue? What lovely clothing! My 6 year old granddaughter would love everyone of your dresses – right now, she ONLY wears dresses. I love the Arcadia hoodie also! What a lovely fam! Welcome!!! You are the best Aunt ever! I love you Courtney! What a beautiful family and lovely momma. We’re Illinois fans too. Good luck with your adoption journey. What a beautiful family and lovely person. We’re Illinois fans too. Good luck with your adoption journey. Those kiddos are ridiculously adorable. Such a gorgeous family! 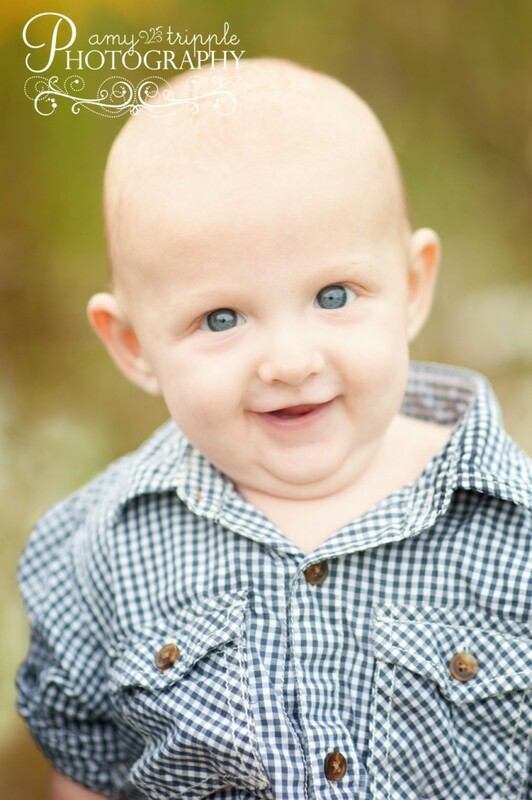 My “baby” is 3 now, he was once a baldy too:)…seeing your insanely cute little guy reminded me so much of mine. Oh, they grow up too fast! What an adorable family. I love the last photo in the field. Beautiful family and lovely bio!! I just love that you dream of adoption, that’s an amazing gift to give a child!! Adorable children! Orange and white would be great for the Copper Cardigan too. My little brother played for them during college (including the year they won the National Championship), so I’m a Vol for Life! Courtney, I think you’re on to something!! Hi and love your pictures.